It's Day 3 of our Stamp Release. 2 more days until these Stamp Sets are available for Purchase!!! Today, we another have 2 Stamps Sets to share with you. 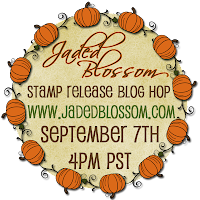 And make sure to come back tomorrow for one more sneak and then Friday for the blog hop!! Wow everybody did such an awesome job!! The witch is just to cute I love her!!! Fun projects, love the sentiments and the candy ideas! So cute. These will definitely get everyone in the Halloween spirit. Omg!! !you guys!!! Everything is adorable even the witches poop! Lol!!! Great projects!! LOVE the Zombie card!